Unusual for a yoga class? Maybe. Touching and sweet? Totally! I’ll come back around to why I chose to tell you about this moment shortly…. But for now, intentions. 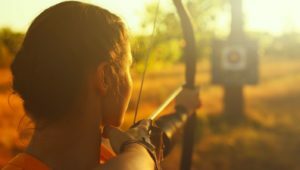 One way of thinking about new year’s resolutions or intentions is beautifully expansive: aspiring to either hit large goals or to have a generalized sense of success, abundance, ease, or clarity. This is great in terms of holding a vision for yourself and being drawn toward it day by day. Another approach that I have found useful has to do with being open to where growth can happen by noticing small improvements and new choices that can happen in the moment…. Every time you teach a yoga class you have a new, time constrained window with in which to experiment with your skill set. Having an intention before you walk into the room can be a very interesting in terms of letting that guide the in-the-moment choices you make as you share your art-form as a teacher. The most basic piece of this was introducing myself and learning their names. But I also wanted to stay mindful of their experience as newcomers in two ways —first: touch on some of the key ideas and techniques I teach in accessible ways so that they would feel oriented to what we were doing, and second: to welcome them to the community by normalizing things like half of the room starting to sing along with the chorus of After the Storm by Mumford and Sons. I then made sure I thanked the newcomers on their way out after the class. The next time you teach I want to invite you to enter into the experience with a specific intention that will guide and shape how you show up and what you are conveying to your students. * Finding ways to welcome new comers so they feel more at ease. * Taking the creative risk of reading that poem or quote you love to the group, or sharing a little about why you love a particular song that made it onto your playlist.